Physical manual therapy means the 'hand-on' treatment used in the management of disorders affecting the musculoskeletal and nervous systems. We employed techniques such as mobilisation and manipulation of spinal/peripheral joints, soft tissue mobilisation, muscle energy techniques, myofascial 'trigger-point' release, mobilisation with movement, muscle tendons frictioning, passive stretching of contractile tissues, and nervous system mobilisation, to aid in your recovery in the most timely fashion. Deep tissue massage technique designed to stimulate muscle and release tension that builds up due to over-use, post-injury, inactivity, or simply the stress of everyday life. Our therapists will assess your need individually and tailor your massage to the specific areas which require attention. This will help release your muscle stress and increase your performance and minimise your risk of injury or re-injury. Pilates aims to rebalance the body by improving posture, strength, balance, and flexibility. It targets both the mind and body with smooth flowing movements co-ordinated with efficient breathing. It strengthens the core and back muscles, enhances circulation, tones muscles, focuses on neutral spine alignment, and improves joint mobility. Our expert chiropodists / podiatrists provide diagnosis, treatment, and prevention of diseases of the human foot. We also provide biomechanical assessment, gait analysis, and prescribe appropriate use of orthotics to correct mechanical / anatomical problems. We are a friendly physiotherapy clinic with specialist knowledge and skills in the treatment of musculoskeletal conditions. Whether you are a high-level athlete with sports injury, someone who was injured at work / been involved in motor accidents, or simply needing treatment for joint or muscle aches and pains, we have the equipment, the skills, and the expertise to deliver care to you with utmost professionalism. Our treatments are based on the latest clinical evidence to achieve maximum results in the shortest possible time. We welcome patients from different referral routes: by your medical insurance company, your consultant, your GP, other allied health professionals, or simply by self-referrals – we have the solution perfectly tailor-made for you. 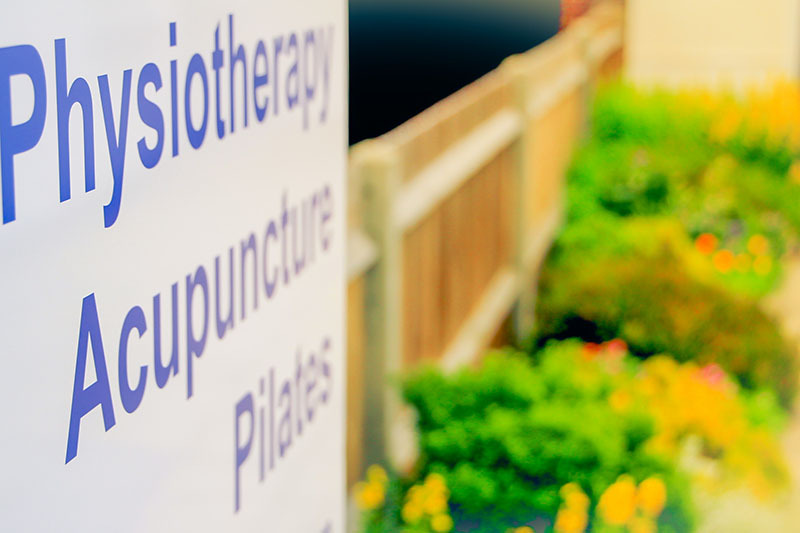 Our head clinic - PhysioQinetics Uxbridge Physiotherapy Clinic - sits in the heart of the London Borough of Hillingdon, with excellent transport network in the town of Uxbridge. It has a long and distinguished history in local healthcare provision in Uxbridge - with 3 full-sized treatment rooms providing first-class care in a modern and comfortable environment. PhysioQinetics Uxbridge Physiotherapy covers nearby region of Uxbridge, Ruislip, Hayes, Hillingdon, Denham, Harefield, Iver Heath, Slough and Windsor. We also have satellite clinics in major neighbouring towns spanning over 3 other counties in Staines, Maidenhead, and Brentford. Why choose PhysioQinetics - Uxbridge Physiotherapy | Staines Physiotherapy | Maidenhead Physiotherapy | Brentford Physiotherapy Clinics ? • We provide effective, first-class, hands-on treatment by highly skilled physiotherapists who are members of Chartered Society of Physiotherapy (CSP) and are state-registered with Health and Care Professions Council (HCPC). • We believe in a manual treatment approach and that there is no substitute for experienced 'hand-on' skills. • We have a dedicated pilates studio/rehab area and can offer a range of therapies for post-operative recoveries. • We have private comfortable treatment rooms. • You can refer yourself to us directly without seeing your doctor first. • Appointments available Monday to Friday (with limited Saturday availability), early morning through to evening, and you will be offered an appointment within 48 hours. • Most importantly, we are proud and passionate about physiotherapy! *Ranking FIRST & SECOND amongst the UK’s top Physiotherapists in 2019! Check out "PhysioQinetics Uxbridge Physiotherapy" and "PhysioQinetics Staines Physiotherapy" on Freeindex - one of UK's largest and fastest growing business directory. The excellent feedback I receive from patients and the results she consistently achieves gives me great confidence in her ability and I have no reservation in recommending Michelle to anyone seeking high quality physiotherapy treatment, advice and support.